In the last one week, so much has happened, and so much more is going to happen. Nosy journalists will be inundated with stories — unsure what to or not to believe, what to report and what to consider conspiracy and discard. Some stories will, however, stand out because of their incontrovertible facts. After my article published last week, I got flooded with comments, feedback and suggestions. There were several comments that contained juicy bits of information as well. As I stated last week and we have witnessed from then onwards, the big wheel of law keeps grinding and gaining momentum. This week, we saw summons issued for the ex-PM and his family, all of whom quickly took flights to safer havens. Finance Minister Ishaq Dar’s bank accounts and assets have been frozen and his arrest warrants issued — sent to London via the foreign ministry. He has yet to announce his resignation. The Hudaibiya Paper Mills case has been sent to the Supreme Court to be opened and the honorable judge in the Model Town case has asked the government to make public the Justice Baqir Ali Najfi report. All these developments have been reported already. Alongside these, some unpublished reports also deserve a mention, though some may deem them speculation or wishful thinking. A Canada-based ex-BCCI banker, who has lived for years in UAE and Dubai where he was very close to the royal Sheiks of Nahiyan family, believes that Ishaq Dar may be in big trouble if the royal family comes to learn about the letters he has presented in Pakistani courts as evidence of money earned as a financial adviser in UAE. The gentleman believes that the royals have yet to see these ‘fake’ documents, because he thinks the Nahiyan rulers live in their own exclusive world and do not care much about whatever else goes on in places like Pakistan. But if they come across someone who tried to involve their name, they are likely to react ferociously. To prove his point, he narrated a story of a photo of some thugs published in a remote newspaper in UAE and the caption mistakenly identified them as members of the royal family. An honest mistake, he thought. But the matter somehow reached the family and the newspaper was fined three million dirhams which, he said, was paid through his bank. In Ishaq Dar’s case, his stakes in UAE run into billions of dollars and all the Hajvairy businesses like HDS Towers, HDS Sunstar 1 and 2, Sobha Ivory 1 and 2, HDS rent-a-luxury-car, HDS Mini Golf, HDS Business Centre, and Take-a-Break coffee shop could come under a cloud if the royal family got annoyed. This may or may not happen but Mr Dar and his family remain in serious trouble and the Sharifs are not helping by speaking in the same language as MQM’s Altaf Hussain and his confidants in Pakistan when they say ‘political parties can be run from London as well’. That seemed to be a hint that the Sharif family may not return anytime soon. Another news doing the round this week is that PPP co-chairman Asif Ali Zardari is trying his best to get a deal, and one PPP senator, who also met the Army Chief this week as part of the parliamentarians delegation, had proposed a scenario in this regard. His logical question was that since the khakis had to choose between “anti-State” elements and those who were known to be financially corrupt, what would be their choice. 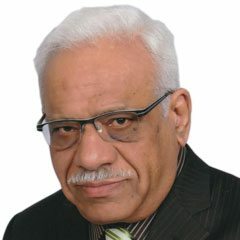 By anti-State the PPP guy meant that since Nawaz Sharif may not return to Pakistan and may prefer to do Altaf Bhai-type politics from London, joining hands with anti-Pakistan lobbyists, the only political choice for the khakis was Mr Zardari who had not been proven guilty for corruption so far. This logic was presented after the army chief had stated to the parliamentarians that he supported democracy and would gladly work under parliamentary oversight but corruption was one issue he would not compromise on. That was something I had written last week quoting a senior Rawalpindi official. The PPP Senator still awaits a response but as the political grapevine goes, attempts may be made to balance the Nawaz ouster decision with an equally effective court verdict against PTI’s Imran Khan, leaving the field open for Zardari. That’s a very optimistic scenario for the PPP but there is a problem. If Nawaz and Imran are facing charges of corruption, who in Pakistan will accept Zardari as a clean option? In the final analysis, it seems that after an effective minus-2 operation (Altaf and Nawaz gone from the scene within a span of a few months), minus-3 may not be far behind.